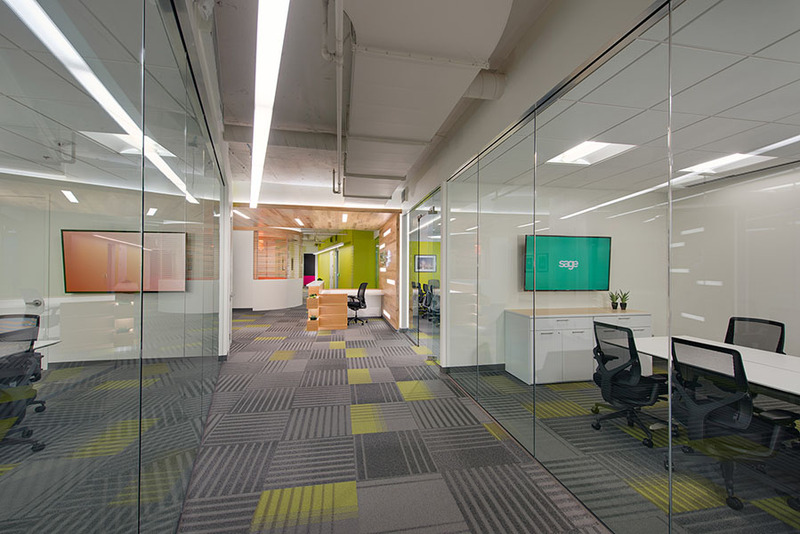 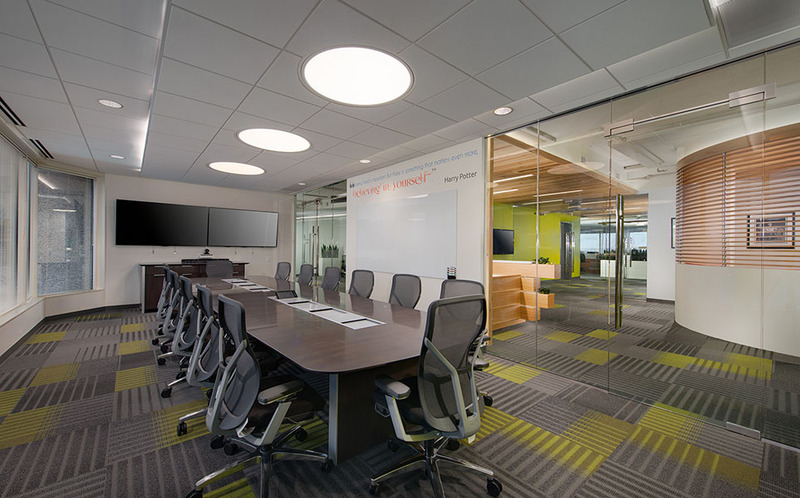 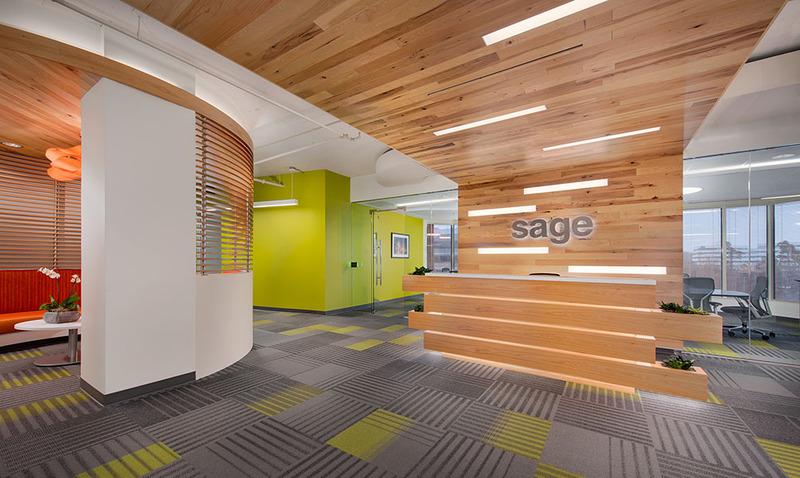 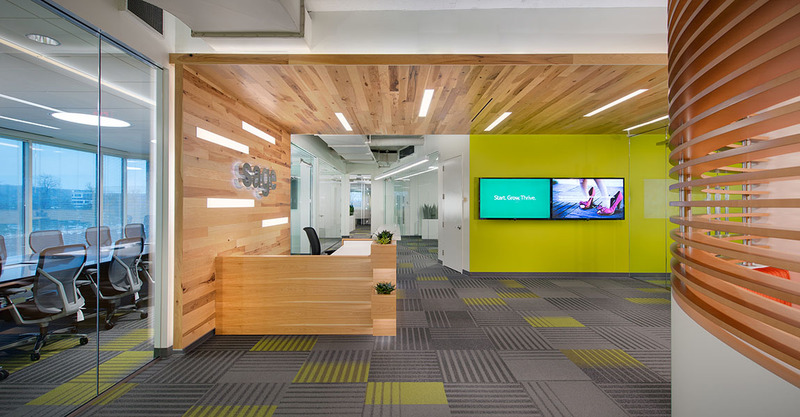 Creating an open office with abundant natural light, while utilizing regional materials, reflects the culture of SAGE. 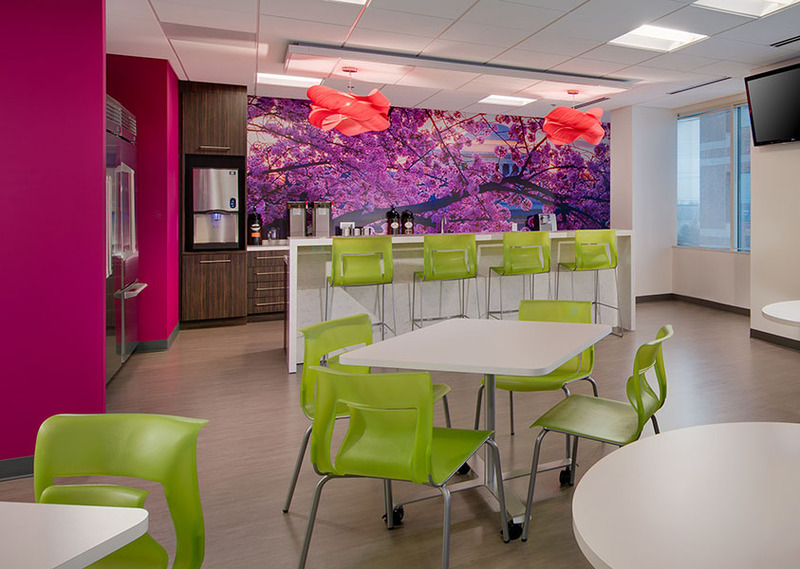 The design elements and vibrant color splashed throughout the space enhance oversized views to the exterior. 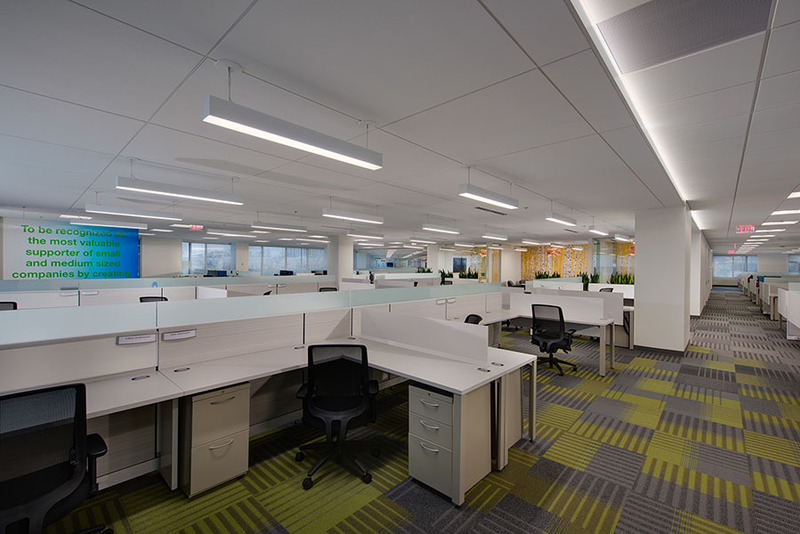 Workstations are lowered, promoting interaction and collaboration. 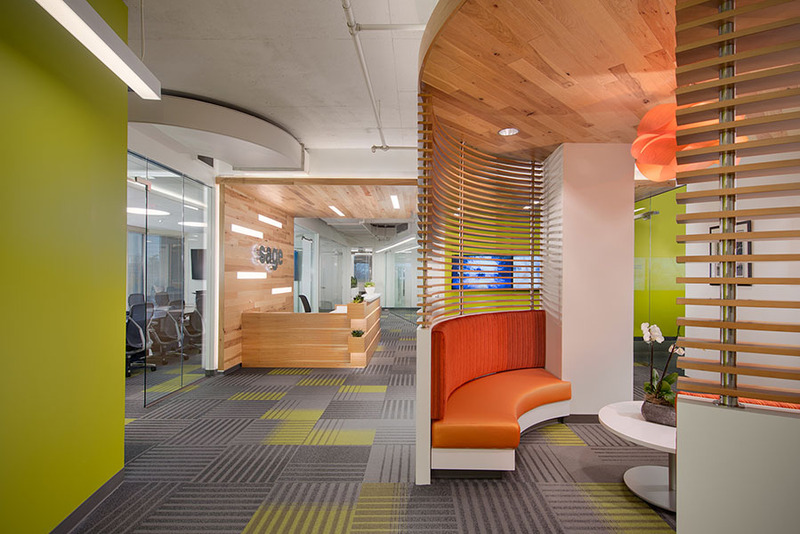 Custom wallcoverings of winter, autumn, spring, and summer birch trees brand the huddle rooms and differentiate the corners of the 40,000 sf space.